We LOVE Tennessee. One of our first stops, once we got on the road, was spending a few months just outside Nashville while Hubby worked at Amazon Camperforce in Murfreesboro Tennessee. We can rattle off list after list of things you shouldn’t miss while visiting but let’s concentrate on all the free things available in the state, after all, there are 189 of them! Yes, there are 189 free things to do in Tennessee. We have visited every major city in the state while we love them all Gatlinburg and the Smoky Mountains really have our heart. 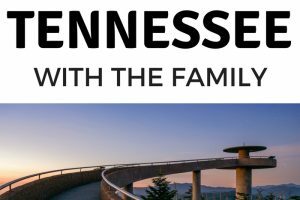 So I had so much fun putting this guide of free things to do in Tennessee together for you! We will start with a basic one, any time you see a scenic overlook on any highway PULL OVER! We have yet to be disappointed in these and most of the views are breathtaking. One of the best is the view from Bald Mountain Ridge scenic overlook along I-26 in Tennessee. We will start in Western Tennessee and start with the Memphis area and work our way East. From there check out a few of the state parks and national parks on the way to Nashville. Let’s start with the state parks. Fort Pillow State Historic Park – Hiking, biking, and fish along with an amazing fort to explore. Montgomery Bell State Park – There is a golf course, a restaurant, and an inn all of which cost money. Now on to the National Parks! Shiloh National Military Park – This military park has 2 battlefields from the Civil War. There is a self-guided audio tour around the almost 13-mile loops of the battlefield. Fort Donelson National Battlefield – A Civil War Confederate battlefield that has many river batteries that have some great views. There is a National Cemetary, and many other notable sites to see. The next major city heading west is Nashville. There are 33 Amazing Free Things to Do in Nashville TN. Make sure to take advantage of being in the Bible Belt area and visit some of the amazing churches, and even take in a church service if you are so inclined. Historic Leiper’s Fork – This is a small historic town of just 700 people outside side the big city of Nashville. The main street is packed with amazing little shops and places to eat! Just south of Nashville is the city of Murfreesboro and make sure not to miss the 10 Free Things to do in Murfreesboro TN. From there we head south towards Chattanooga but there are a few places you need to check out on the way! There are 2 National Parks you need to make sure you visit along the way! Stones River National Battlefield – This is the site of an 1862 Civil War Battle for control of Tennessee during the war. Learn the store of the battle, and visit the National Cemetary. This was one of my favorite things to do in Tennessee. Tennessee Civil War National Heritage Area – Learn of the Civil War battles in the state, their income and how they impacted Tennessee. There are 2 state parks to check out on the way as well. Old Stone Fort State Archaeological Park – Once thought to be an old fort that had crumbled, during excavations they discovered this was to be an old Indian ceremony ground. The hike has some amazing views, and waterfalls as well. Burgess Falls State Park – Falls as in some beautiful hiking trails and waterfalls! Visit the Heart of Whiskey Country – Lynchburg Tennessee is where Jack Daniel’s is made, the whole town embraces the history! From adding to their food, and their decor and more! See all there is to do in this little town and why we suggest not missing it! Once you reach Chattanooga, make sure you don’t miss the 26 Free Things to do in Chattanooga TN. From Chattanooga Tennessee, we continue east toward Knoxville. Make sure to take in the Mayfield Dairy Farm where you can learn the production of milk and many other dairy products. You can see how everything is packaged and how it gets ready to head out. You can even sample ice cream! Along the way, you will also find 2 National Park sites you will want to take in. Obed Wild and Scenic River – They say this river looks very close today like it did in the 1700s because the soil isn’t good for farming. Ther are also 2 Tennessee State Parks you won’t want to miss as well. Red Clay State Historic Park – This 263-acre park used to be cotton land and as the last seat for the Cherokee National Government before the Indian Removal Act of 1830. Come and learn the history of this beautiful part of the state. Norris Dam State Park – Drive across a working Dam, see an old mill site and lots of other great histories from around the area. Once you hit Knowville make sure to check out the 25 Can’t-Miss Free Things to do in Knoxville TN. Then on your way out toward the Smoky Mountains make sure to check out the Big South Fork National River. Make sure to take in the Fort Loudoun State Historic Park as well. The park is 1,200-acres and is one of the earliest British fortifications in the country, it built in 1756. Right before you hit the Smokies make sure to take in the 23 Free Things to do in Pigeon Forge TN and also the 15 Free Things to do in Gatlinburg Tennessee before heading into the 13 Things to do in The Great Smoky Mountain National Park. The Smoky Mountains were one of hubby’s favorite things to do in Tennessee. Then head north and check out the Andrew Johnson National Historic Site. This is the homestead of our 17th president, learn about his first days in office after Lincolns assassination, see his homestead, and where he is answered. Then hike some of the Trail of Tears National Trail that spans AL, AR, GA, IL, KY, MO, NC, OK, and TN. Learn about the history of the Cherokee being removed from their land and the path they took to get to Oklahoma where the government moved them too. The last place on my list is the David Crockett Birthplace. What have been your favorite free things to do in Tennessee? Let us know in the comments below!